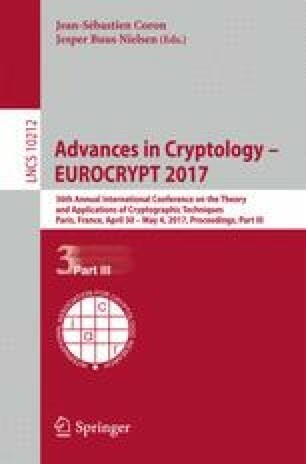 We study the notion of ad hoc secure computation, recently introduced by Beimel et al. (ITCS 2016), in the context of the Private Simultaneous Messages (PSM) model of Feige et al. (STOC 2004). In ad hoc secure computation we have n parties that may potentially participate in a protocol but, at the actual time of execution, only k of them, whose identity is not known in advance, actually participate. This situation is particularly challenging in the PSM setting, where protocols are non-interactive (a single message from each participating party to a special output party) and where the parties rely on pre-distributed, correlated randomness (that in the ad-hoc setting will have to take into account all possible sets of participants). We present several different constructions of ad hoc PSM protocols from standard PSM protocols. These constructions imply, in particular, that efficient information-theoretic ad hoc PSM protocols exist for NC\(^1\) and different classes of log-space computation, and efficient computationally-secure ad hoc PSM protocols for polynomial-time computable functions can be based on a one-way function. As an application, we obtain an information-theoretic implementation of order-revealing encryption whose security holds for two messages. We also consider the case where the actual number of participating parties t may be larger than the minimal k for which the protocol is designed to work. In this case, it is unavoidable that the output party learns the output corresponding to each subset of k out of the t participants. Therefore, a “best possible security” notion, requiring that this will be the only information that the output party learns, is needed. We present connections between this notion and the previously studied notion of t-robust PSM (also known as “non-interactive MPC”). We show that constructions in this setting for even simple functions (like AND or threshold) can be translated into non-trivial instances of program obfuscation (such as point function obfuscation and fuzzy point function obfuscation, respectively). We view these results as a negative indication that protocols with “best possible security” are impossible to realize efficiently in the information-theoretic setting or require strong assumptions in the computational setting. We thank David Cash and David Wu for helpful discussions about Order Revealing Encryption. The first author was supported by ISF grant 544/13 and by a grant from the BGU Cyber Security Research Center. The second and third authors were partially supported by ISF grant 1709/14, BSF grant 2012378, and NSF-BSF grant 2015782. Research of the second author was additionally supported from a DARPA/ARL SAFEWARE award, NSF Frontier Award 1413955, NSF grants 1619348, 1228984, 1136174, and 1065276, a Xerox Faculty Research Award, a Google Faculty Research Award, an equipment grant from Intel, and an Okawa Foundation Research Grant. This material is based upon work supported by the Defense Advanced Research Projects Agency through the ARL under Contract W911NF-15-C-0205. The views expressed are those of the authors and do not reflect the official policy or position of the Department of Defense, the National Science Foundation, or the U.S. Government.